Back to top of the post buttons is a button once clicked it will navigate the user to the top of the page or post. It is basically used for better scrolling, users don’t have to navigate using scroll bars instead they can use this button to reach to top in no time. Those bloggers who wishes to write a long post or if you have a video blog where you post lots of images in the single post back to the top of the post button is very useful for you. 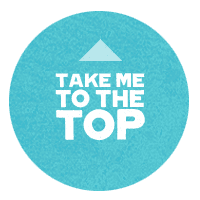 Back to top button not only saves the time of your visitor, but it also adds an enjoyment factor to your blog. Just follow the steps carefully and you will discover how to add back to top of the post button in blogger blog. 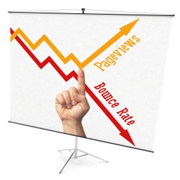 Bounce rate is considered an important factor in blogging and we as bloggers must pay attention to our blogs bounce rates. Bounce rate is the Average no of visitors who visits your Blog and leave after a short time without navigating to other pages of your blog. So it’s better to have your blog optimized for bounce rate. In this article I will be explaining you some useful tips to reduce Bounce rate of blogger blogs. 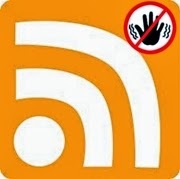 In some case blogger want to disable their blogs RSS Feed it can be because of many reasons. the two reasons which is coming in my mind is blogger simply don’t want its post to be emailed or if someone is using your RSS Feeds for auto publishing posts in its blog. Yes your RSS Feed can be copied using different scripts in both these case you needed to disable RSS feed. In this tutorial I will be guiding you how to disable your RSS Feed in Blogger blog. The search engine in our blogs creates a good impact on our readers as it makes the blogger blog looks professional and helps users to search blogs conveniently. There are dozens of search widgets available for blogger blogs, but none can be better than Google has offered. For those who don’t know there is search service called Google custom search which Google has built for websites and blogs. In this article we will be explaining you how to create and add Google Custom Search to Blogger Blog. In this era of internet, hacking has become more common and we see websites getting hacked or been attacked by malware. If you don’t have backup in these situates then it becomes very difficult for webmasters and blogger to recover their blogs from attacks. So what you have to do to encounter malware or hackers, it’s pretty easy always take regular or once a week backup of your Blogger blog. Once you have a backup for your blog you can easily use it to restore your blogger blog. 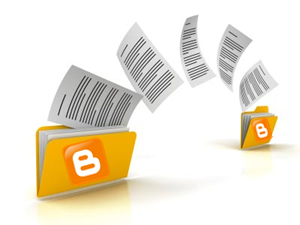 In this article we will be teaching you how to backup and restore your Blogger blog. People that live in the world consist of different casts and culture and they speak different languages.Approximately about 6000 to 7000 languages are spoken in this world, now coming towards blogger blog we normally built our website in English because it is an international language widely spoken across the world. By creating our blog in English we are doing right, but what for our those readers who don’t understand English that well, taking this aspect in mind Google has made a tool which can translate your blog in about 60 + languages. 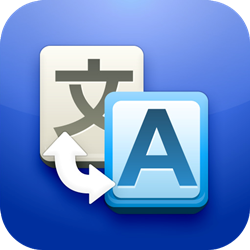 In this article we will teach How to Add Google Website Translate Button in Blogger. No doubt dozens are free online tools available on the web for bloggers when they came to analyze their blog traffic statistics. Most of the time we are using few limited online tools with which might be well aware all tech geeks and bloggers. While in my case, i have been using google analytics and woorank since 2012. 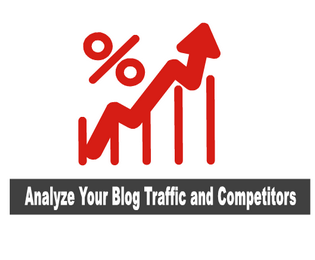 Meanwhile i did not find any useful tool by which we can calculate blog traffic and competitors accurately. However, there are various splendid paid online tools which could be help in bringing your competitors and give all the possible results regarding to the blog traffic statistics. However, sometime you must be worry, what to do ? Where to go? if we need to check the blog current visitors analytic and competitors at the current time without registration and much more. In such situation i have a solid solution which can be more useful to fulfill your desires. So here i am going to present you one splendid website (SimilarWeb) by which you will quickly access all the rights which you are manually handle in google analytic. So, in today's article we will show you how to analyze your blog competitors and traffic by using SimilarWeb online tool. To give you a brief idea. SimilarWeb is an online website which provides a single tool for checking both traffic and competitors. This tool work similar to google analytic. While google analytic needs registration, installation of ID on the template but here you do not need to have registration or other any access authority. So it would automatically show all the traffic related data, Referral traffic, Social media and much more. Its mechanism is so simple. Just go to the website. Enter your desire blog link and then see the whole visual graphic of your blog whole background. Do'nt look here and there. Here is a complete guide, which will show step by step how to check active visitors, Traffic and your competitors. Lets come and follow the below step by step guide. 1: First of all go the SimilarWeb from here. 2: Put your Blog url in the searchbox and hit the enter. Add your competitor blog to know how is the winner. You can also add multiple competitors. See the below screenshot. Compare the results. The fist one will be always the Primary blog which want to do competition and the alternate will competitor blog often comes below the primary ones. To give you the illustrative view see the below screenshot. In the above screenshot the primary blog is www.probloggertricks.com and the competitor www.bloggertipstricks.com is one of my friends blog. 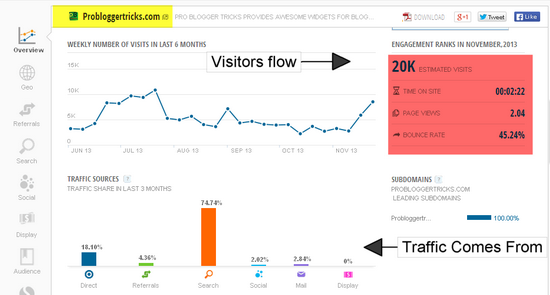 You can clearly see the graph for visitors flow, the yellow zig zag line reference to the competitor blog while the blue line reference to the primary blog. The highest traffic tendency always achieved by the competitor however the recent update of nov 2013, we crossed over the competitor blog. As you can see in the screenshot. The blue line is going upward while the yellow goes down constantly. You might like: Two Excellent websites to check your blog loading time. We hope this tutorial have helped you a lot in learning how to analyze your blog traffic and competitors for free using SimilarWeb. We would recommend to check your blog as well of your competitors too and know who is the winner. This guide will prove helpful for you in regarding SEO and much more. So i would like you to check your blogs add the competitors and do share your result with us. Thanks.